The Rev. 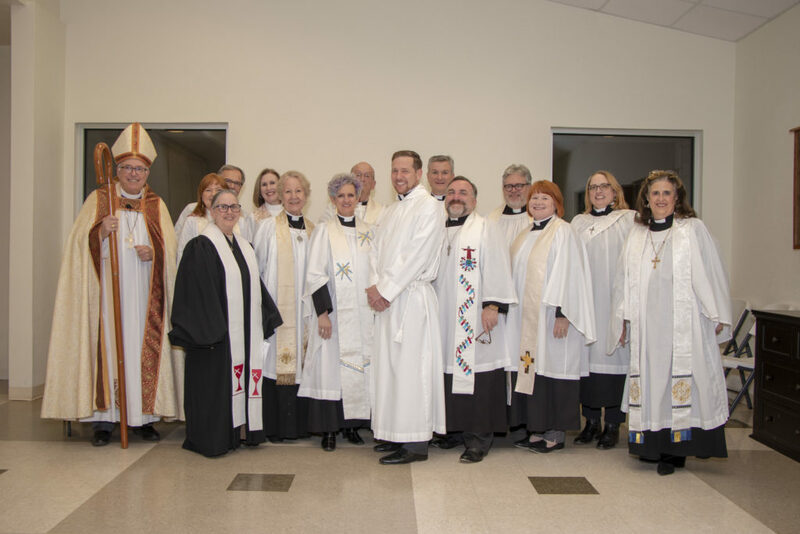 Bradley Callaway Dyche was installed as rector of St. Luke’s, Stephenville, on Tuesday, January 29, 2019, by Bishop Scott Mayer. The Rev. David Krause, Interim Rector of St. Francis’ Episcopal Church in Temple, was the preacher. 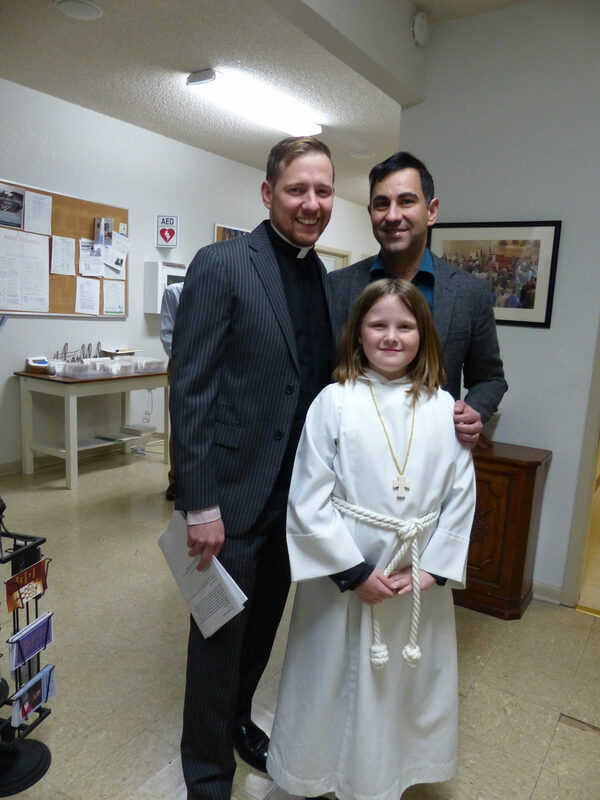 He was the Canterbury Chaplain at Texas Tech University where Dyche began to discern a call to ordained ministry. 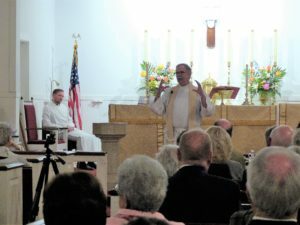 Listen to a podcast of the sermon. Watch a short video of the evening, on YouTube or below. Dyche is father to Sheridan and husband to Frank De Jesus. He enjoys cooking, hiking, kayaking, gardening and reading. He finds purpose in working with youth, in campus ministry, in education, and through pastoral care. He also has great theological interest in the works of Rene Girard concerning Mimetic Anthropology. He has served as president of Theology and Peace, a group dedicated to this theological work and asking how and why humans scapegoat others and how Jesus models another way for us to be human. There was a reception following the worship service. Parishioners had brought silver items from home for the flowers, which were generously arranged throughout the parish hall. A harpist played during the reception. The photos in the slideshow below were taken by Flight Reach Studios of Stephenville. 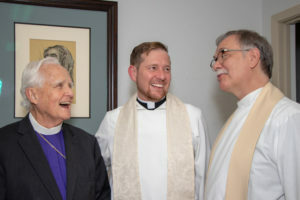 The occasion was made even more special for Dyche because of the presence of Krause, the preacher, who was the Canterbury chaplain with whom he first began to discern a call to ordained ministry, and Bishop Sam Hulsey, who confirmed him.